NOTE: This guide is aimed at our Control Panel, Barebones and Blaze VPS products. If you use a different Crucial hosting product, click here for a list of our nameservers. Note that if you have 2 nameservers, it's fine for both of them to point ot the same IP address. Step 3 - This step likely needs to be done by your registrar. 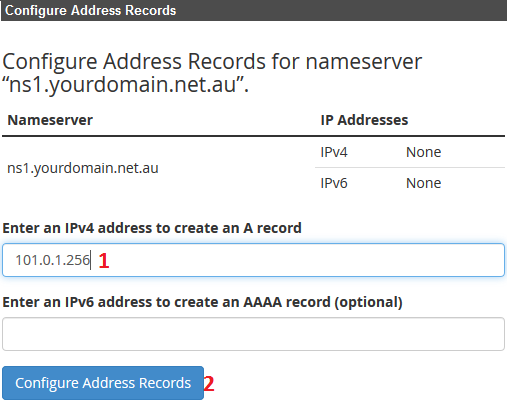 To find your domain registrar, you can use websites like https://whois.ausregistry.com.au and https://tppwholesale.com.au/provider/ (for .au domain names, use the TPP one if ausregistry says the domain is with TPP), and https://who.is (for .com .net .org and other standard domain name). 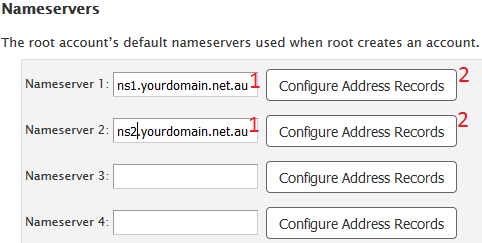 If your domain is with us: Submit a support ticket from http://control.crucial.com.au/ requesting we add the host/glue records and provide the nameserver's and IP's set for them. 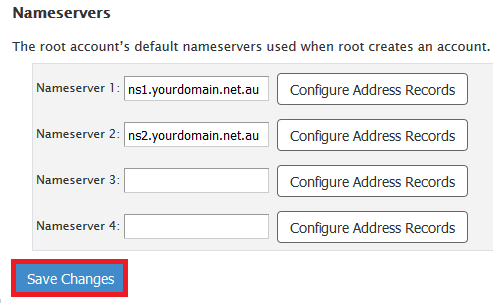 If your domain is with another registrar: Contact your registrar, provide the nameservers you've set and IP's set for them, and ask them to set Host/Glue records. How do I install WHMCS on cPanel?